Spring showers bring flowers – and a big THANK YOU to our hundreds of volunteers! 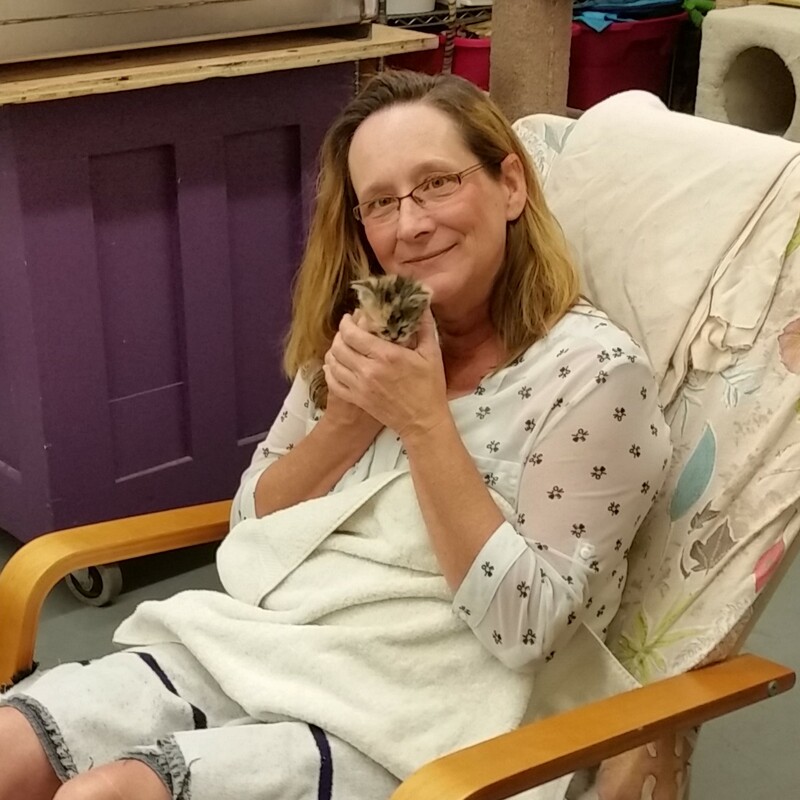 This April we’re celebrating Heather Rossi, a volunteer who’s dedicated to helping ensure escaped kitties are found. A majority of the cats in our care are housed in foster homes and sometimes they manage to get out. Cats are very clever and sometimes they sneak out an open door or window. If this should happen Heather’s there to help. I started volunteering with VOKRA in the spring of 2010 when I saw a post on their Facebook page. I was hoping for something I could do from home – telephone or computer work. I started out helping with the fundraising team looking for grants to apply for. The first thing I noticed when I started meeting other volunteers was their outright dedication to the cats. This is one of the main reasons I continue to volunteer. VOKRA is such an awesome organization, 100% committed to the cats. 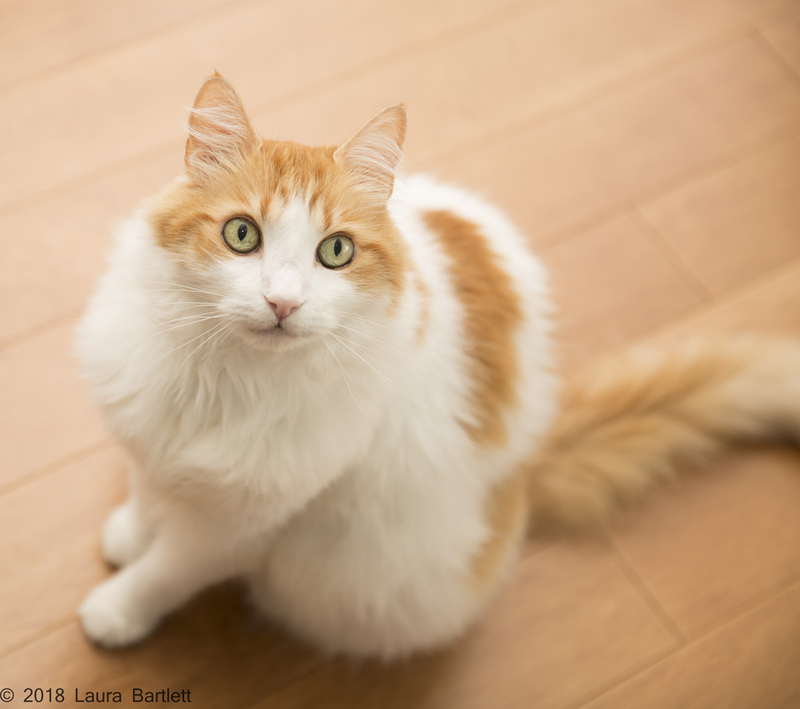 For a few years I helped find barn or farm homes for street cats that had been trapped. I started coming to the monthly meetings and assisted with taking/distributing the minutes and meeting reminders. 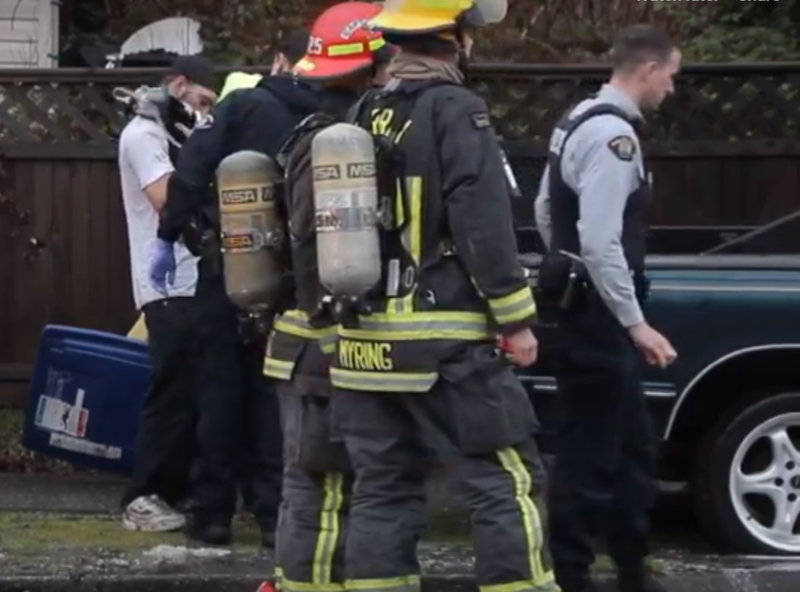 One of my favourite memories of my early volunteering is while at a monthly meeting VOKRA co-founder Maria mentioned that she’d received a call about a mom cat and kittens someone had seen near the Port Moody train station. Maria was looking for someone to trap them. I live not far from Port Moody so I said I could, but I didn’t know how to trap. After the meeting, Maria showed me how to set up the trap – at the side of her van on Broadway in the dark! 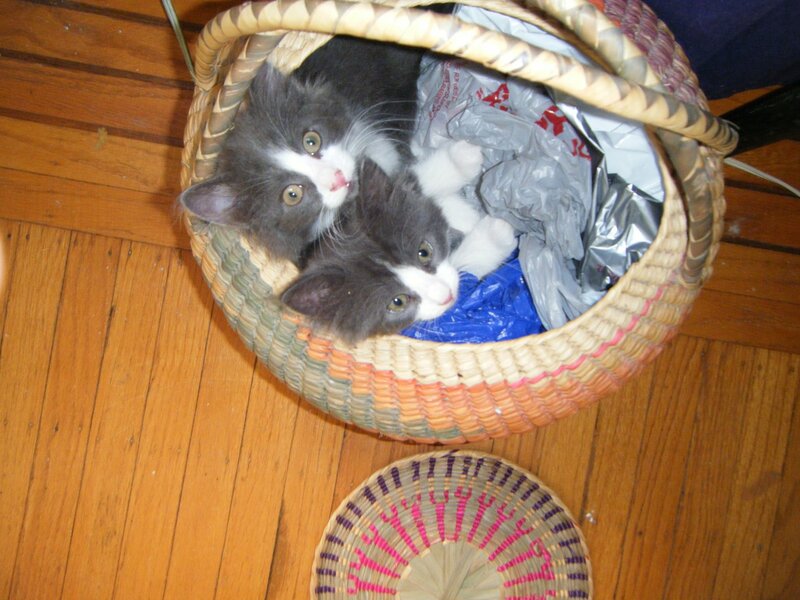 The next day, my kids and I set out to trap the mom and kittens and by supper had managed to trap all four of them. 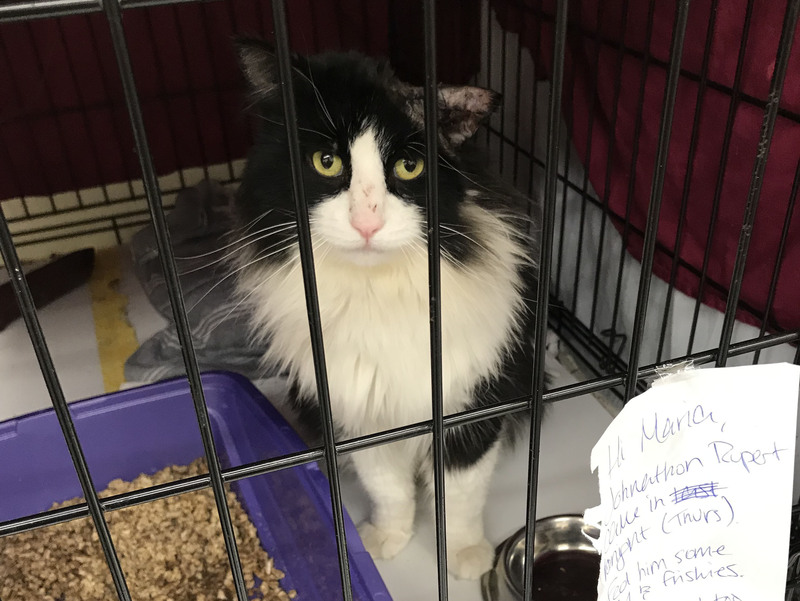 Because I live in Port Coquitlam and am unable to foster, I had not been able to volunteer directly with cats – until VOKRA arranged to have cats at the Petsmart in Coquitlam. 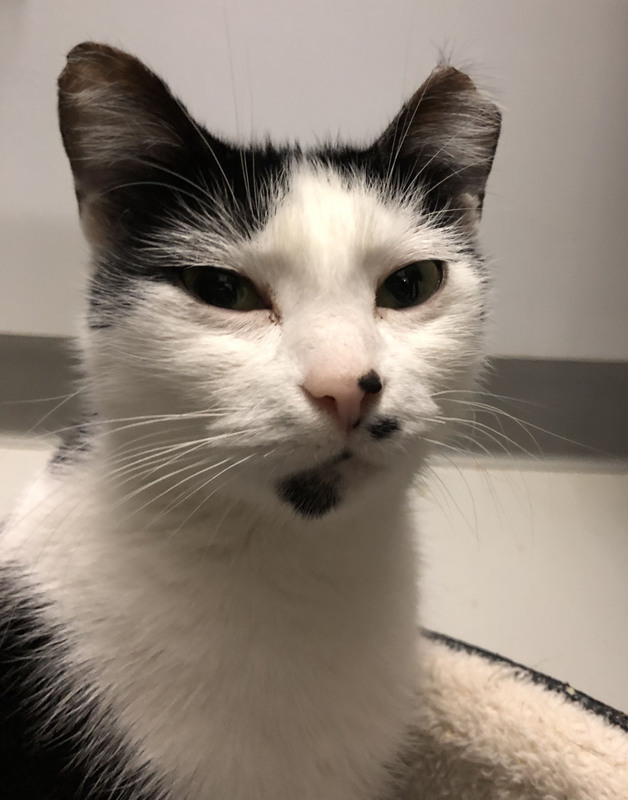 I signed up for cat care there and this was one of my favourite times volunteering. 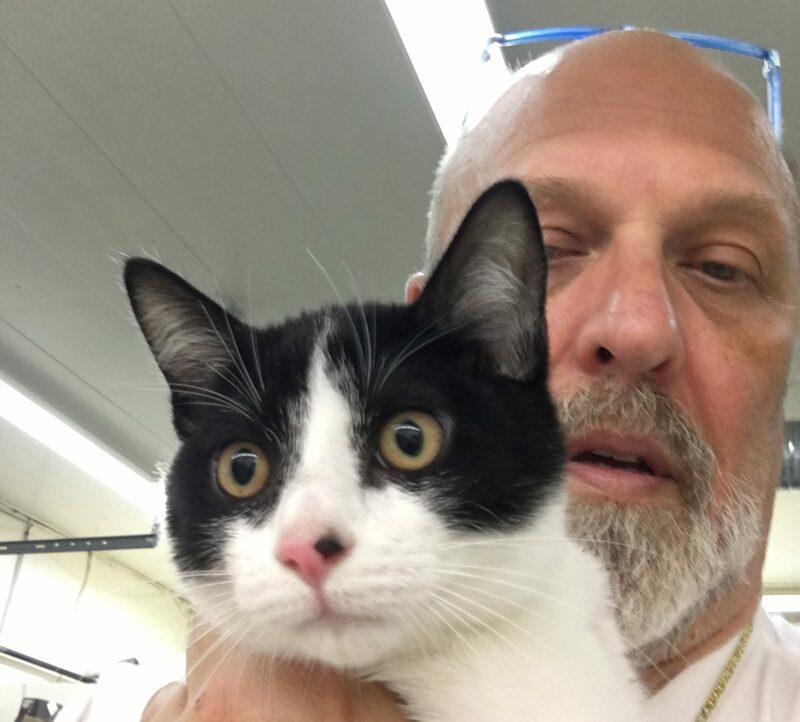 It’s a good amount of work cleaning the kennels and feeding the cats, but the reward was being able to spend time with each of the cats there. I did have a soft spot for Rena, Mouse and Timmy. I have helped with trapping, driving, fundraising, events – any time there is a need that I feel I can help with. In 2015, VOKRA was looking for someone to be the main contact for escaped foster cats so I volunteered for this role. When a foster cat gets out of the house I’m the one who receives the email information. I create posters, send information to the lost pet sites, post on social media, etc.. and provide information to the foster and update the trapping and foster teams. 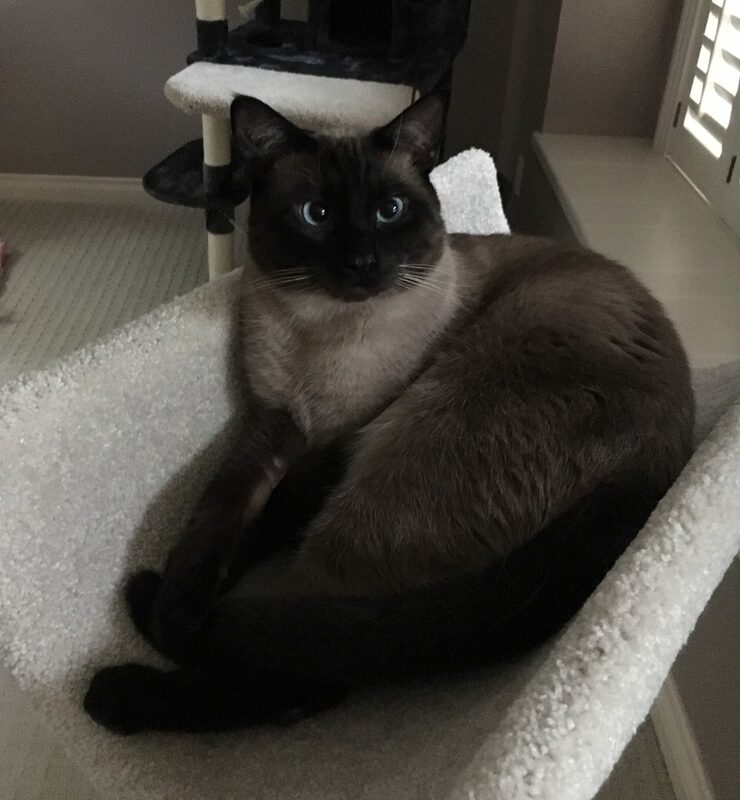 I’m always happy when I receive a message that a cat is back safe and sound. I love helping in this way and I can do all the computer tasks, freeing the trapping team and other volunteers to search for the cat. I am extremely honoured to be associated with VOKRA and the dedicated volunteers. THANK YOU Heather! We’re the one who are extremely honoured to have you as a volunteer! 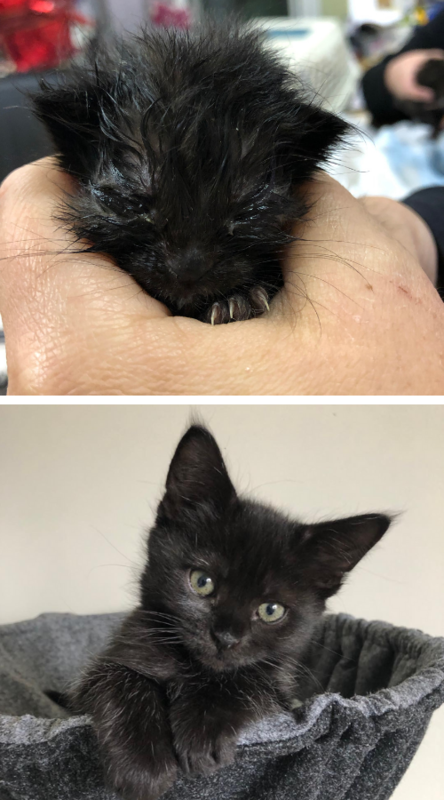 Once upon a time, VOKRA founders Karen Duncan and Maria Soroski were volunteers at the SPCA and they’d see litters of tiny kittens arrive without moms. Karen and Maria quickly became expert bottle feeders and found their services in high demand during kitten season. Eventually, they branched off on their own and VOKRA was born. It was then that Karen and Maria realized the reason for all the motherless kittens was that no one had figured out how to trap the feral moms. 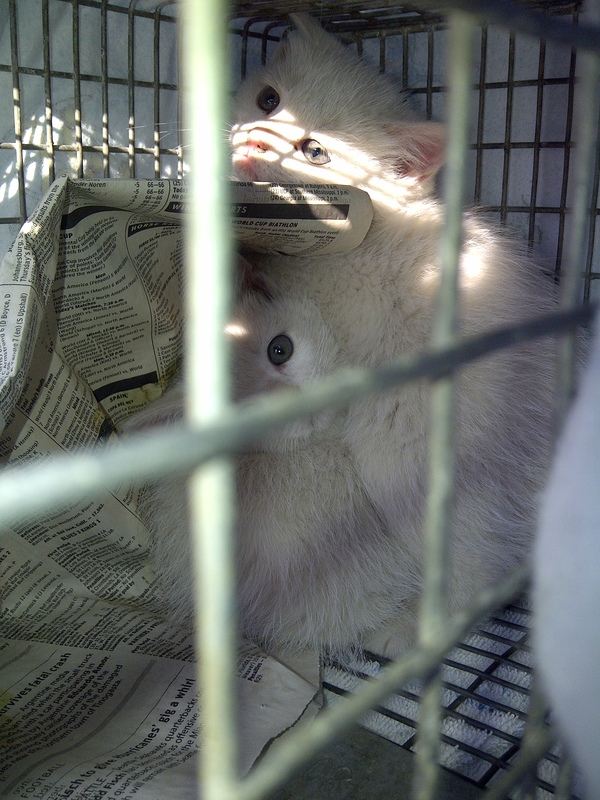 Once they began trapping them, the need for bottle feeding was greatly reduced. Keeping kittens with their mom is always ideal, but at times its necessary to bottle feed them. Some kittens may only be fed temporarily until their mom is located or while she’s recovering from illness or injury. And sometimes there will be extra-large litters so we’ll help out the mama cat by topping up the kittens with a bottle. We always try our best to ensure mom is trapped, deploying an arsenal of tricks, such as using the scent of her kittens’ urine or fur to lure her in. 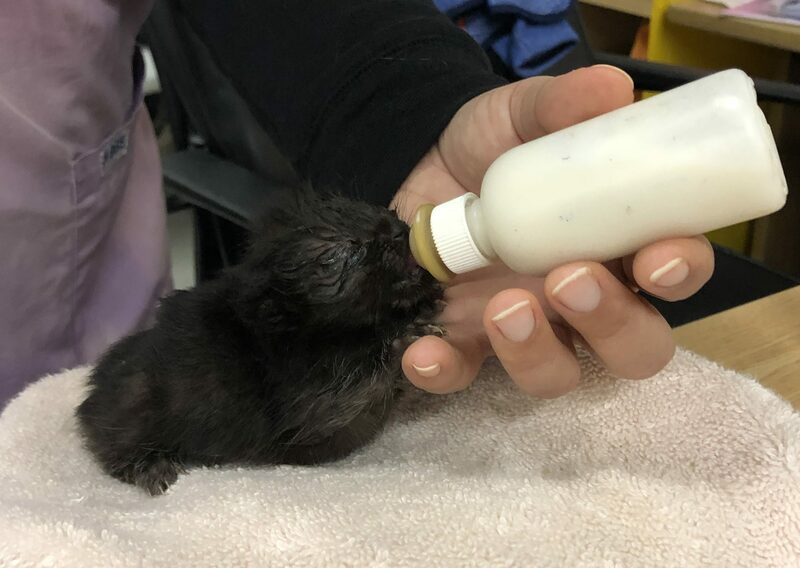 But there are times when mom is never found or she has passed away, making it essential the kittens are bottle fed until they can graduate to solid food. Being responsible for a litter of newborn kittens may involve loads of cuteness, but it’s a full-time job requiring a lot of work! 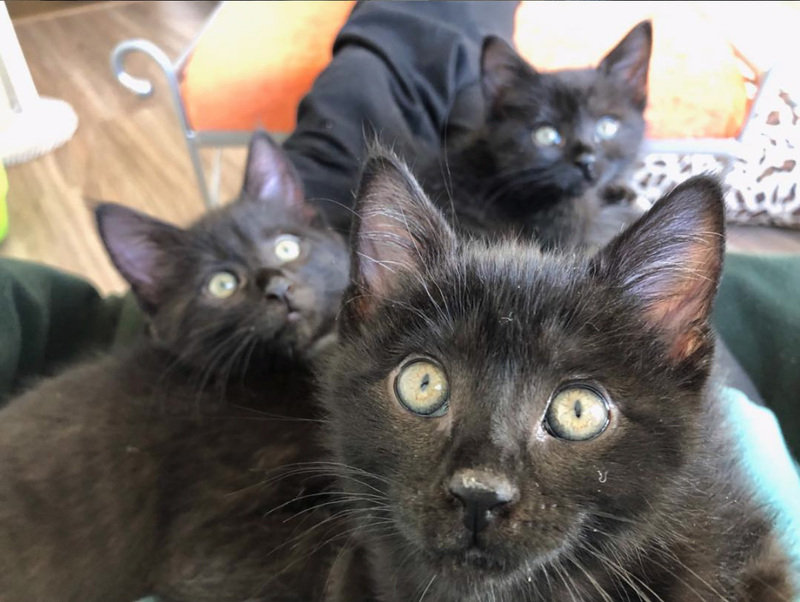 Each year VOKRA receives an average of 10 litters that require full-time bottle feeding so we have a small group of volunteers who are dedicated to keeping these kittens alive. Lea has taken on the responsibility of bottle feeding three litters so far and is about to see her latest bunch head off to their forever homes. Even with round-the-clock care and attention, bottle fed kittens have a lower survival rate than their counterparts with moms. Just like the kittens in Lea’s litter, they’re susceptible to illness which their tiny bodies have a hard time fighting. Happily, with lots of TLC all of Lea’s kittens pulled through and they’re thriving today. Fostering saves lives and we have more than 350 foster parents to thank for that! 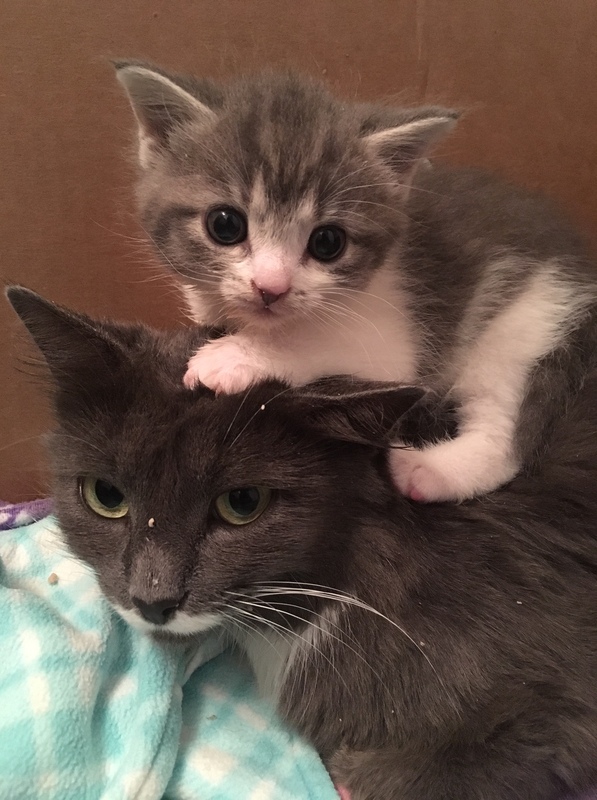 In addition to taking care of bottle feeders, Lea also fosters older kittens, moms with kittens and the occasional adult cat. 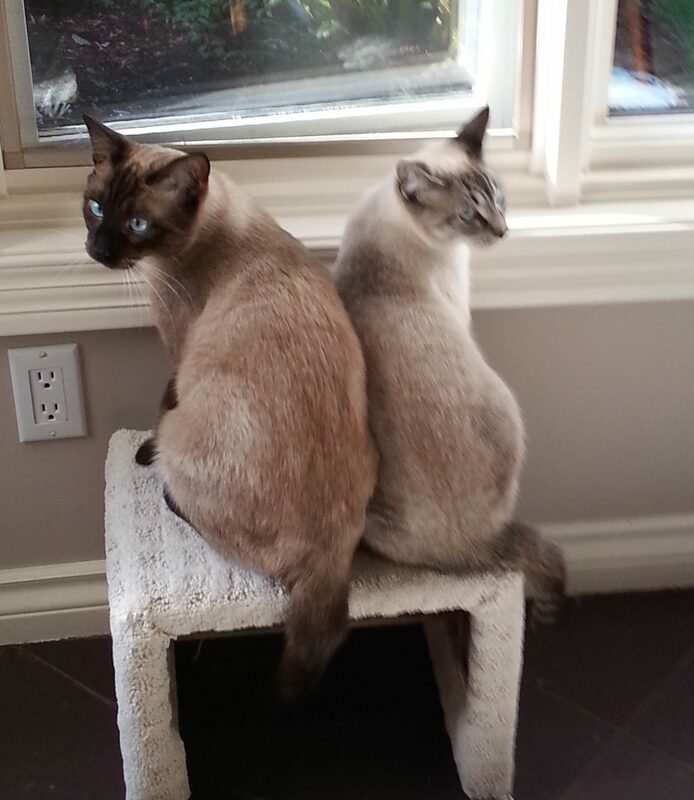 It’s Happy Tails for Ben and Elaine too, as these two cat-parents think it’s they, not their kitties, who’re the lucky ones! From a cardboard box to cloud nine! It’s a new and much happier life for Johnathon at his foster’s home! 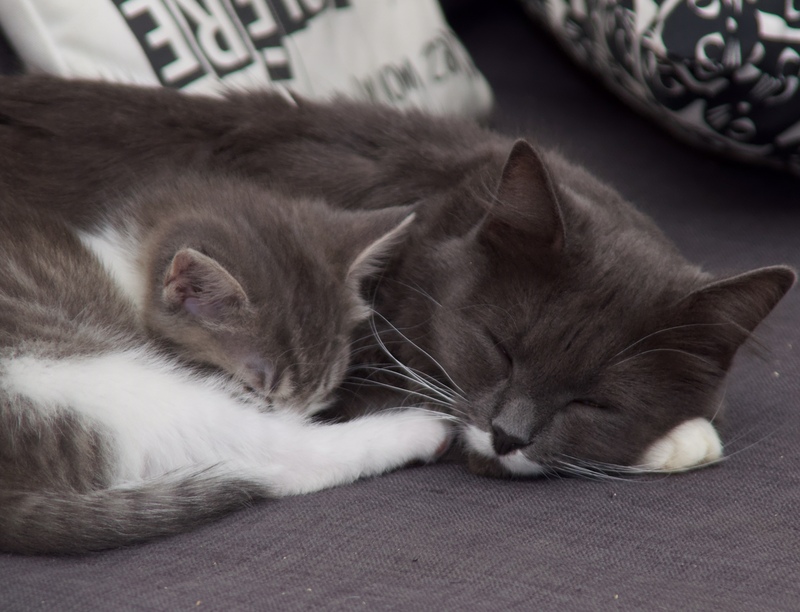 This lonely little kitty finally has somebody to snuggle with, thanks to VOKRA volunteers. It was a hard life for Johnathon as one of Vancouver’s many stray cats. Though a kind stranger was giving the cutie some food, Johnathon’s home was a simple box in the backyard. Worse, he was hurting. 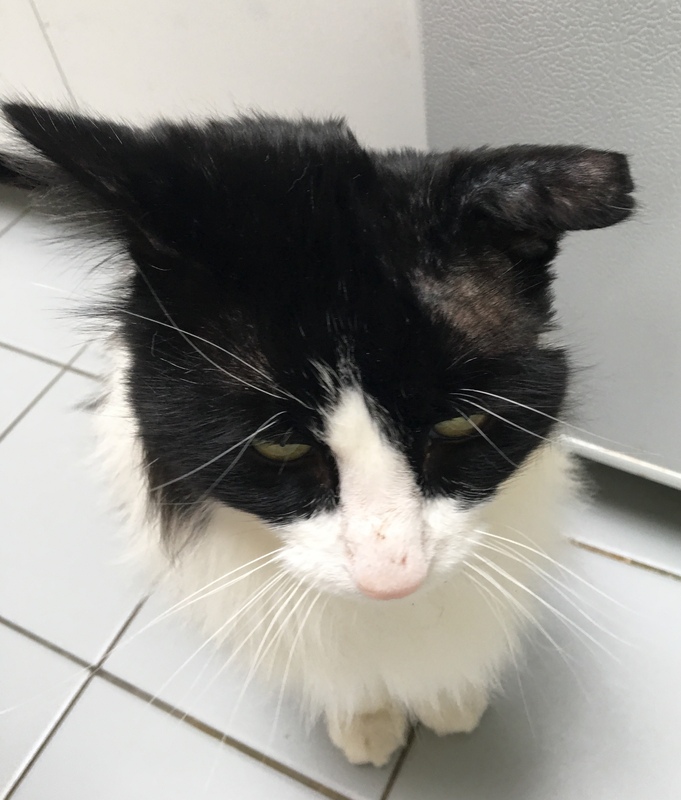 After an unknown injury to his ear, this poor little kitty contracted a hematoma, a painful clotting of blood and broken vessels that can lead to tissue damage. Luckily for Johnathon, his feeding friend saw the problem and phoned VOKRA. 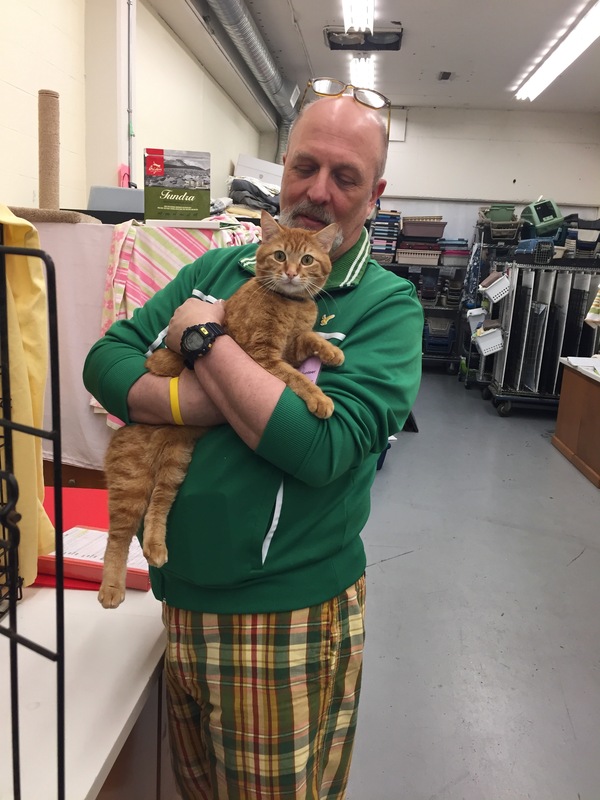 In volunteers rushed, arranging for medical help and a new home for this little cat. 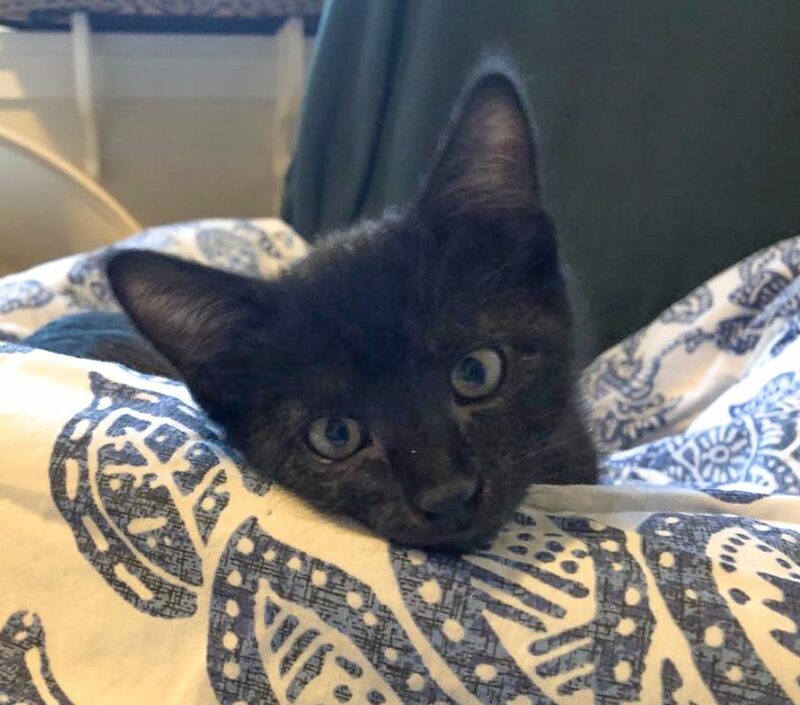 Now returned to health and in foster care, Johnathon’s a very cuddly cat, trailing around after foster mom Mika as he tries to get caught up on all the love he’s been missing. 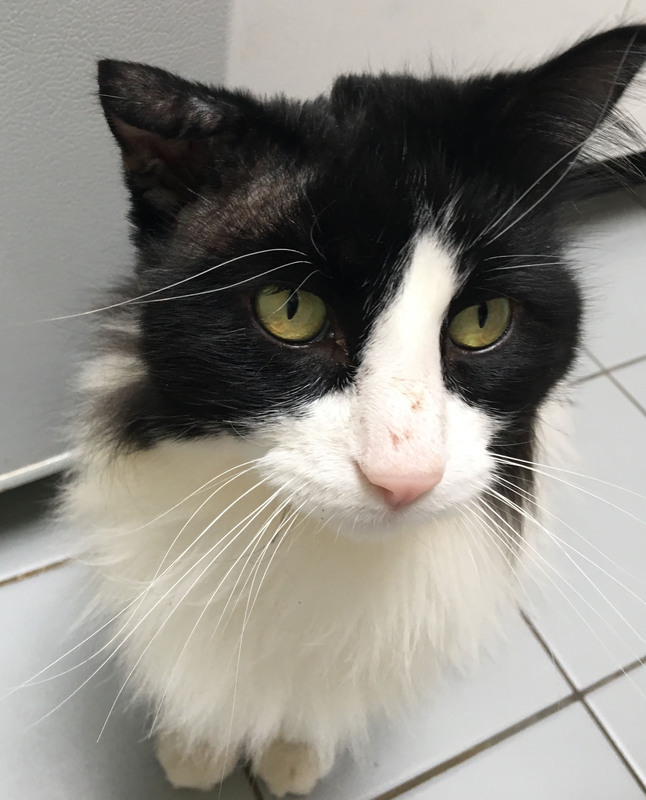 It’s almost a happy ending for Johnathon as he’s close to being forever-home ready. 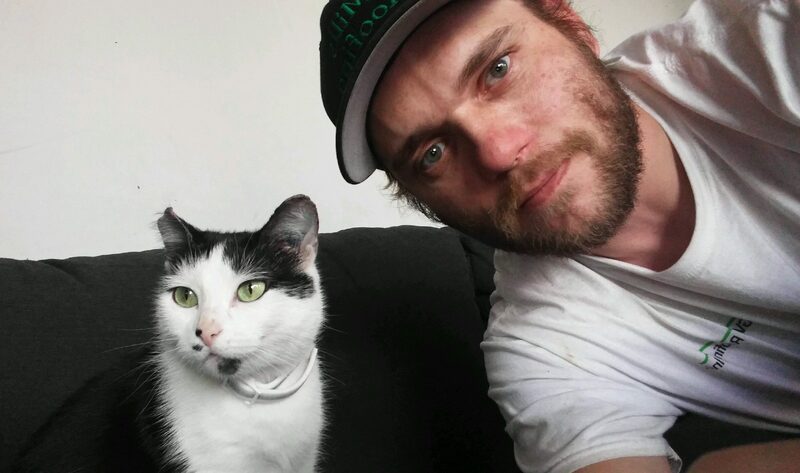 Thanks to VOKRA, a sick and solitary cat has found health and a friend, and he’ll soon find the permanent love he needs. Johnathon when he first arrived. UPDATE: As of Feb. 28/19 Kiyon & Lucy are available for adoption. You can view them on our website here. 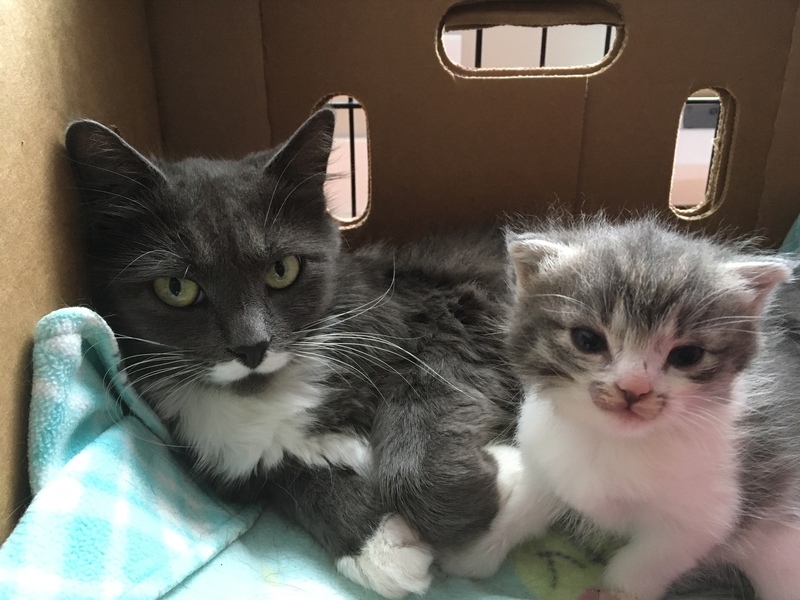 It’s a hard world for homeless kitties, but things are getting better for Kiyon and little Lucy, thanks to the volunteers at VOKRA. 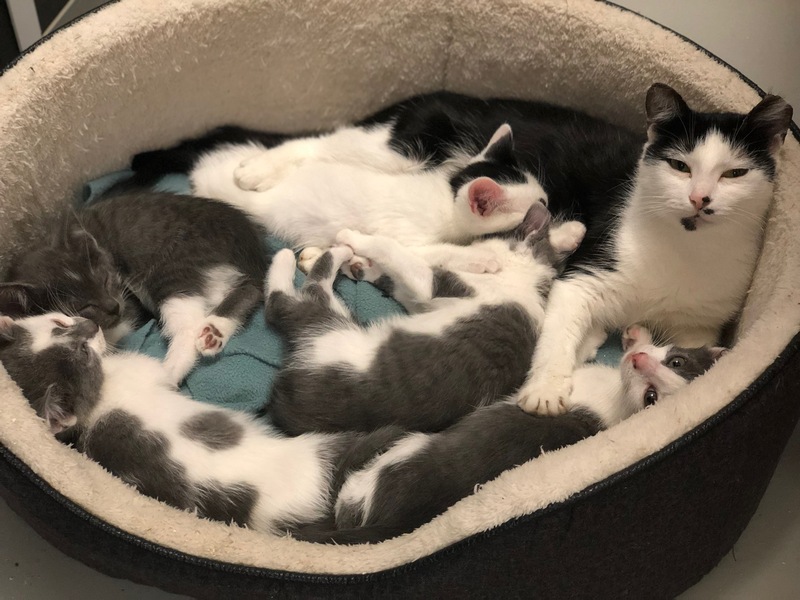 Late last fall, new mom Kiyon was taking care of her very young kittens when she was surprised by a raccoon, a common Lower Mainland predator that can target vulnerable animals like outdoor cats. Kind walkers-by heard the struggle and rushed to help and the kitties were brought to VOKRA. The attack had a sad ending for three of the little ones, who were too wounded to survive. 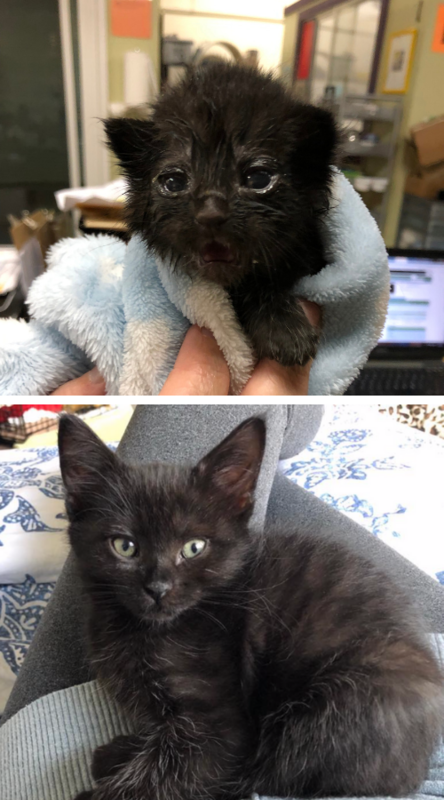 A similar fate was almost in store for little Lucy who was bitten on the head, face and on her left front leg. Lucky for Lucy there was VOKRA! Volunteer and co-founder Karen started things off, bottle feeding the one-week old and cleaning and medicating her wounds. Proximity to Lucy was a big help to this caring mom. Despite her shock, Kiyon snuggled with Lucy, licking the kitten’s little face. At Andrea’s house, Kiyon was very protective, watching closely as Lucy’s injuries were tended to. 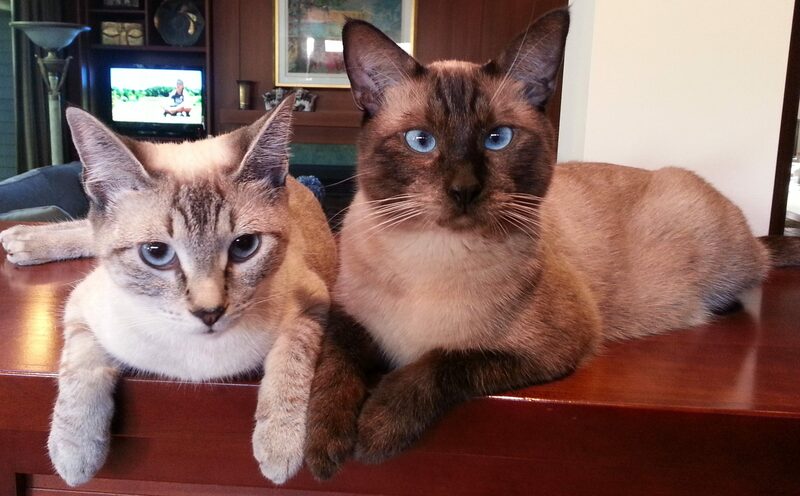 “One little meow from Lucy and Kiyon would stand up and come see what was going on,” smiles Andrea. And good news! Andrea reports that Lucy recently received a clean bill of health. 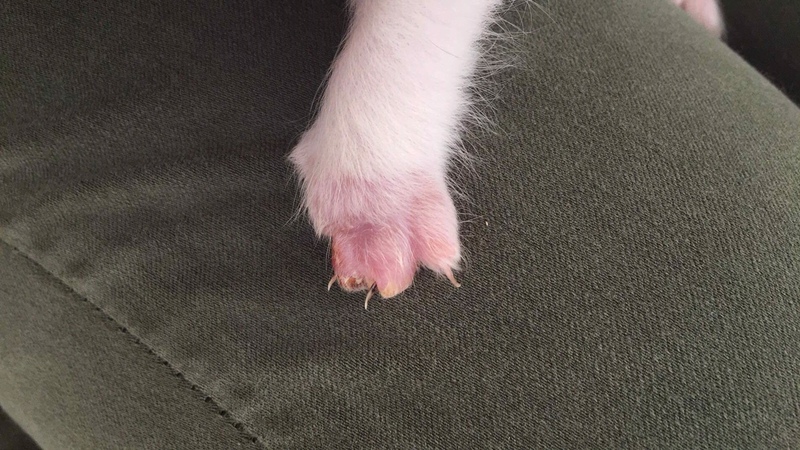 “We saw a vet and he confirmed her paw is looking healthy!”, Andrea says happily. It’s tough out there for little cats. Fortunately, there are VOKRA volunteers, helping to keep all kitties safe, warm and loved. It’s not uncommon for cats to be attacked by raccoons. This is one of the many reasons why VOKRA adopts to indoor only homes and strongly encourages everyone to keep their cats safely indoors.